The pancreas is a small organ that’s situated behind your stomach in your abdomen area and is responsible for helping the body with digestion and regulating blood sugar levels. Unfortunately, it’s also an often-overlooked organ for one of the deadliest forms of cancer. For Pancreatic Cancer Awareness Month this November, we’re taking a closer look at a few of the most commonly asked questions about pancreatic cancer so you can be informed and help spread awareness in your community. Take a look. Pancreatic cancer occurs when cells begin to grow uncontrollably and crowd out normal, healthy cells on the pancreas. There are different types of pancreatic cancer, but most cases are what are referred to as “exocrine pancreatic cancers” because they start in the exocrine cells, which are those that aid in digestion. Less common are endocrine tumors that affect the cells that help regulate blood sugar. The American Cancer Society (ACS) estimates that over 55,000 Americans will be diagnosed with pancreatic cancer this year, which accounts for about 3% of all cancer cases in the United States. Even more sobering, however, is the fact that this form of cancer accounts for about 7% of cancer deaths in our country every year. Who’s at Risk for Pancreatic Cancer? Tobacco Use – The ACS estimates that 20-30 percent of pancreatic cancers are caused by smoking or using smokeless tobacco. Weight – Obesity is believed to increase a person’s level of risk by as much as 20%. Age – Your level of risk goes up as you age, especially over the age of 65. The average age of most people when they’re diagnosed is 71. Gender – Men have been shown to have a slightly higher level of risk, but the gap between men and women has been closing in recent years. Family History – Like many diseases and ailments, a person’s genetics has a lot to do with their level of risk; however, many people who do develop pancreatic cancer have no known family history of it. Chronic Diseases and Diabetes – Pancreatic cancer has been found to be more common in people with chronic pancreatitis and diabetes. Although there’s no way to totally prevent pancreatic cancer, it’s a good idea to talk with your primary care doctor if you have any questions or concerns regarding your level of risk. He or she will be able to shed some light on your individual risk factors and provide strategies for improving your chances of avoiding pancreatic cancer (and other types of cancer, too). What are Some Warning Signs and Symptoms of Pancreatic Cancer? 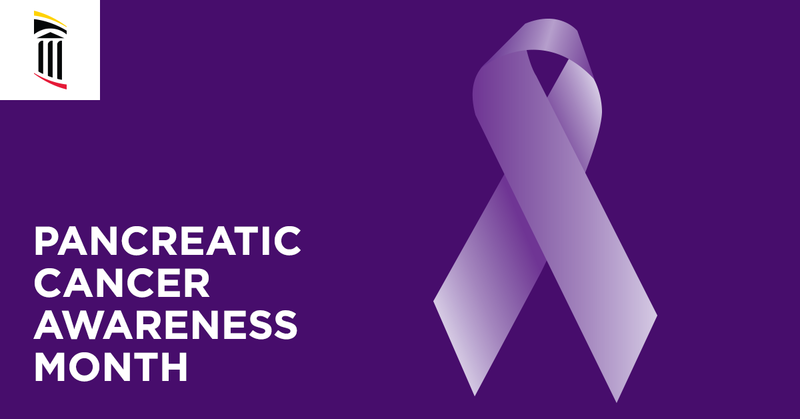 There are other signs and symptoms of pancreatic cancer as well, but it’s important to understand that many of the symptoms noted above and by the ACS are often caused by something other than pancreatic cancer. With that in mind, it’s still important to see a doctor right away if you have any of these symptoms because, by the time symptoms arise due to pancreatic cancer, the cancer has likely already spread outside of the pancreas. Is There Any Way to Treat Pancreatic Cancer? As with every form of cancer, the earlier pancreatic cancer is detected, the more treatment options there will be for a person’s cancer team to explore. Want to learn more about pancreatic cancer or looking for ways to get involved? Visit the official website of the American Cancer Society for additional statistics, facts, figures, and articles. And be sure to check out the Pancreatic Cancer Action Network’s website for shareable social media graphics and ideas that you can use all month long. For many people, Labor Day represents the final send-off to summer. It’s one final long weekend to enjoy before the cool weather sets in. Labor Day is also one of the best times to fire up the grill again and have family and friends over for another fun get-together. 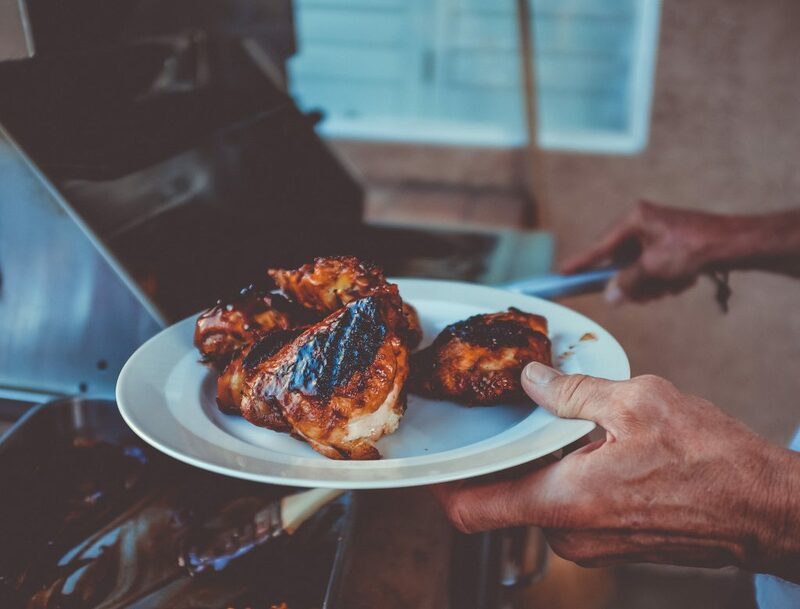 But just because you’re getting the grill going, a meal that’s high in calories and low in nutritional value doesn’t have to be the expectation. Here are 5 tips for creating a healthier menu for all your guests. 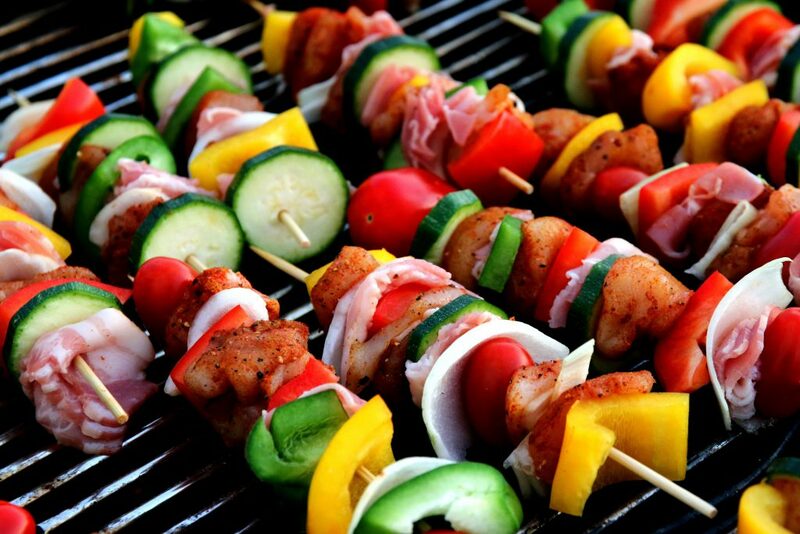 Portion control is one of the biggest challenges when it comes to backyard barbecues. One creative solution to setting reasonable portion sizes is to skewer your meat and vegetables to create tasty kebabs. This is a great way to add in a greater variety of veggies to your menu, and you’ll be able to better understand how much you’re eating ahead of time. Plus, your guests will absolutely love the presentation. Potato salad, macaroni salad, and mashed potatoes are all staples of the American barbecue, but those items are often loaded with empty calories, extraordinary amounts of carbohydrates, and extra fat. This year, try using a vegetable grill basket filled with cut-up peppers, onions, squash, potatoes, broccoli, brussels sprouts, etc., or simply place them directly on the grill. Mix a light amount of olive oil in with your veggies and season to taste to create a delicious and colorful side dish that won’t add a lot of calories to your meal. 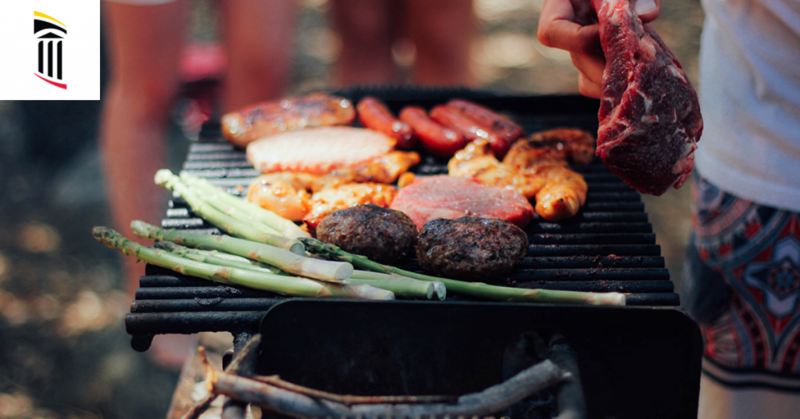 While steaks and beef burgers are among the most popular items to barbecue, there’s evidence to suggest that overconsumption of red meat can be a detriment to your overall health. By replacing that red meat with poultry or pork, you can lower your consumption of saturated fat, which contributes to higher cholesterol levels that may, in turn, increase your risk of heart disease. Just remember to choose chicken or pork products that are lean and lower in fat when you’re making your selections. If you want to take the next step towards an even healthier entrée, seafood is a great place to start. Fish can be grilled quickly, and with just a little bit of oil, you can keep your salmon or seafood selection from sticking on the grill — making it relatively easy to cook as well. There are countless healthy recipes available online (here’s one you might like), and you might be surprised by how many calories you can save by opting for fish over beef, poultry, or pork. 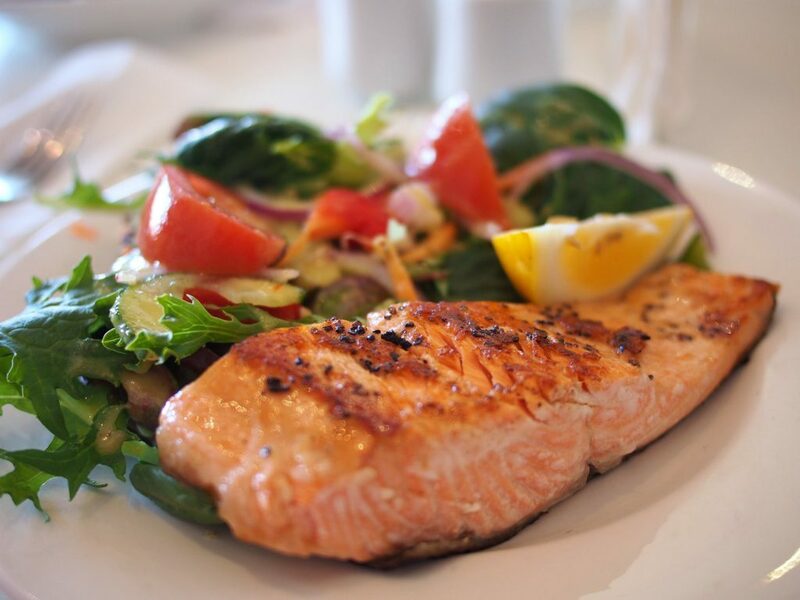 Moreover, fish is a great source of high-quality protein and low-fat nutrients. If you’re sticking with chicken, one of the easiest ways to cut back on calories is to remove the skin. 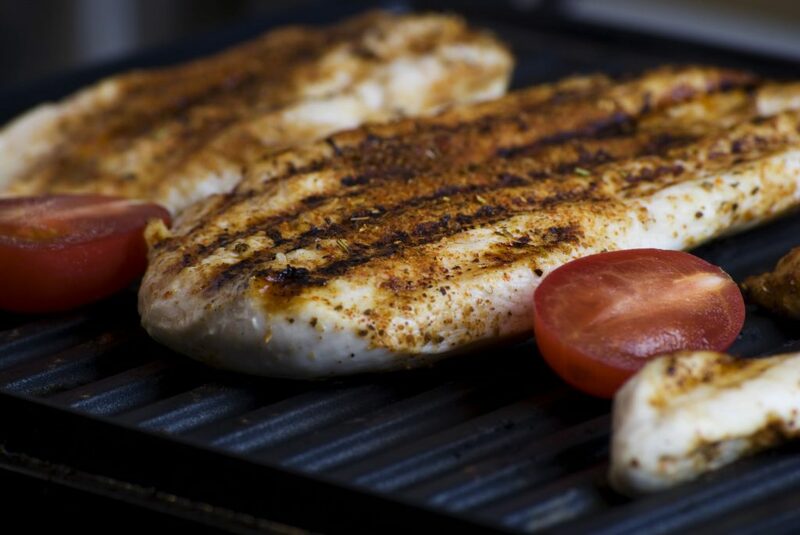 Yes, grilled chicken with the skin left on is delicious, but it’s much higher in fat, specifically saturated fat. If you’re doing without the skin this time around, make sure to remove it before you start grilling because you’ll lose all the flavor of your seasoning or marinades if you do it after it’s done cooking. 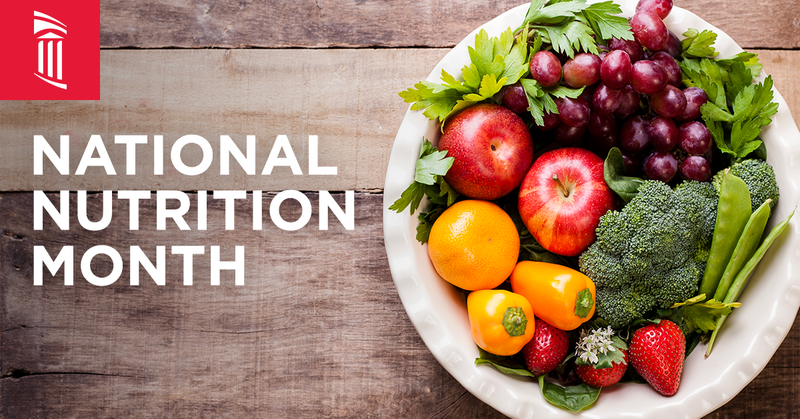 Whether you were resolved to eating better in the new year or you’re always on the lookout for ways to live better, National Nutrition Month is a great opportunity to recommit yourself to choosing the right foods and beverages for yourself and your family. Nutrition facts are on nearly every package of food sold in grocery stores in the U.S., but do you know how to decipher the information on them? From serving sizes to daily values, the facts and figures listed on every nutrition facts label will be your guide throughout National Nutrition Month and beyond. It’ll help you better understand which foods are giving you the nutrients you need and which ones are just giving you the extra calories you don’t. Check out this great guide from the Academy of Nutrition and Dietetics if you need some guidance on that little label. It may be tempting to try the latest and greatest diet that people all over social media seem to be raving about. What these posts, articles and videos don’t tell you about these “fad diets” is that they’re quite often ineffective at helping you eat better and lose weight in the long term. Sure, you might lose weight over the next several months as you totally eliminate carbohydrates or some other nutrient. But you’ll likely find that keeping the weight off and sticking to the diet beyond that is a much harder thing. Focus more on health and less on weight by employing a diet that’s full of variety — nutrient-rich foods that contain the proper balance of proteins, carbohydrates, fats, vitamins and minerals. 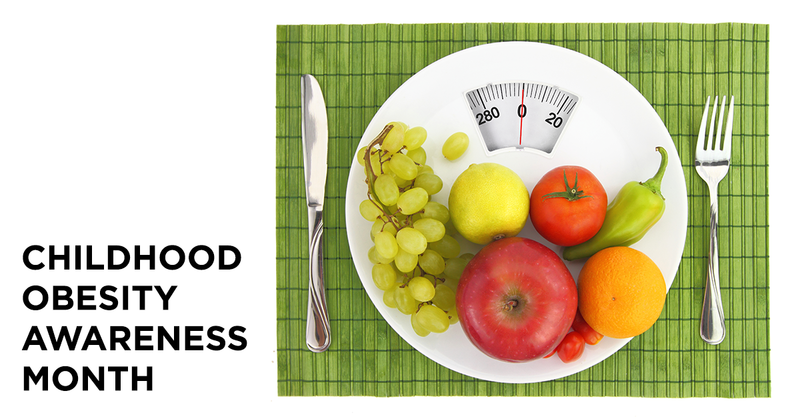 You’ll find that portion control and moderation are more important to long-term health than any “fad diet” could be. If you’re a habitual snacker or just find yourself getting hungry between meals, you know how easy it is to turn to unhealthy snacks like chips, cookies and crackers. Toss out those empty-calorie snacks at your desk or home and replace them with alternatives such as nuts, berries and veggies. They’ll curb your cravings and help you get the vital nutrients you need throughout the day. We’re not saying you have to totally eliminate bad foods from your diet, but taking steps to reduce the amount of sodium, added sugars, trans fats and saturated fats can go a long way. For example, instead of drinking soda or juice, opt for water. Or rather than eating sausages and high-fat beef every time you grill, choose meats like chicken or lean pork. You might be surprised by the difference a few small changes can make to your overall health. If you’re someone who’s been diagnosed with diabetes, it’s even more important to keep these things in mind. Our Center for Diabetes Education is here to help you make smarter, more effective dietary choices so you can live better with diabetes. Visit our website to learn more or to schedule an appointment. Yes, you read that correctly. Although research is still being conducted to discover the health benefits of drinking coffee, several studies have already shown that consumption of coffee has positive effects on wellness. From protecting against type 2 diabetes and cardiovascular disease to lowering risk for developing Parkinson’s disease and depression — coffee has emerged as a potential super drink. As with anything, however, drink it in moderation! Want to get more nutritional advice and tips? Be sure to check out our Online Health Library and the Food and Drug Administration’s tips for healthy eating. If you’re in search of the latest news, updates and information regarding the state of health and wellness resources in Charles County, we have a free magazine you’ll definitely want to check out. 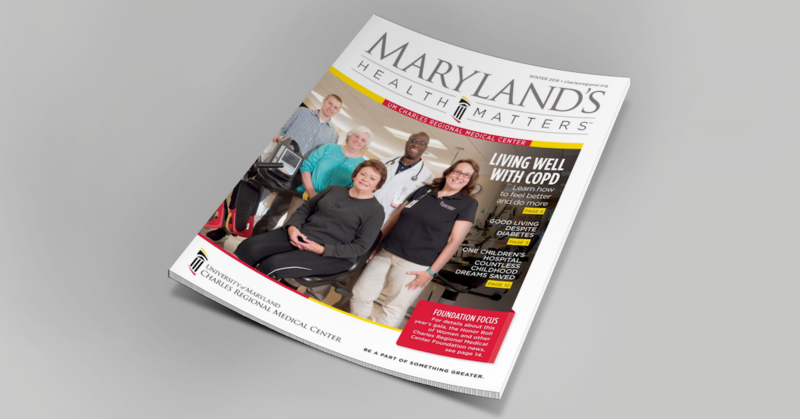 Maryland’s Health Matters, the official quarterly magazine of the University of Maryland Medical System, is the perfect companion to all of the information and resources you can find on our blog and our website. The University of Maryland Medical System understands that community wellness needs and preferences vary by geographic region, so they publish an edition specifically for Charles County. It’s all part of our mission of helping you make informed health care decisions for yourself and your family. Living Well with COPD – Learn more about what causes COPD, how it can be managed and what resources are available to Charles County residents who have been diagnosed with it. Overcoming the Daily Hurdles of Diabetes – Get some easy-to-follow tips from our team about how you can live better after a diabetes diagnosis. Foundation Focus – See what the Charles Regional Medical Center Foundation has been up to and get a preview of the upcoming Celebration Gala event. University of Maryland Children’s Hospital Highlight – When kids get sick, the experts at the University of Maryland Children’s Hospital are there to help. This highlight examines how this specialized hospital provided personalized, compassionate care for three such kids so they could have healthier childhoods. The latest issue of Maryland’s Health Matters is available online 24/7, so click or tap right here to start reading the latest issue now. Setting New Year’s Resolutions? Read This First. 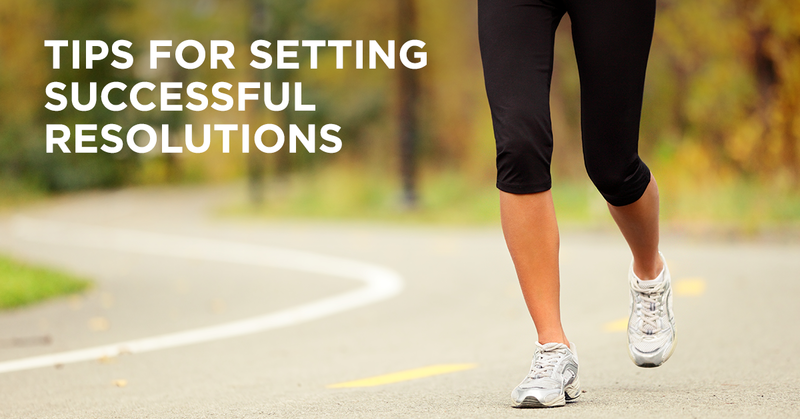 Regardless of what you’re looking to improve in the new year, now is a great time to set goals. Reasonable resolutions are those that you will be able to keep striving for over the next 12 months. If the idea of exercising 5 times a week, every week seems like it’ll be nearly impossible to stick with, it probably will be. Try setting goals that are within reach and attainable, regardless of what they are. Only you can decide how hard you’re going to work or how committed you’ll be throughout the year, so plan accordingly. And don’t forget, if you think you’re in an all-around good place in regards to health and wellness, there’s absolutely nothing wrong with setting a goal to maintain that all year long! One of the best ways to realize a larger, long-term vision is to break it up with smaller, short-term milestones throughout the year. Rather than just saying you want to lose 30 pounds by the end of the year, commit yourself to losing a couple pounds every month. Or instead of promising that you’ll have a strategy to get your diabetes under control right away, start with just making an appointment for our Center for Diabetes Education within the first couple weeks of the new year. You’ll be surprised with how much easier it is to take on a long-term goal when you break things up into several short-term milestones. And when you accomplish those smaller goals, enjoy it — you deserve it! Just make sure you keep your eye on your ultimate goal every step of the way. Just like everything in life, the route to achieving your goals won’t be without its own ups and downs. Stay true to your resolutions as you reach major milestones but, more importantly, don’t get too down on yourself if there are any setbacks. You’re only human, and getting too down on yourself for any mistakes or missed goals along the way is only going to make it harder to accomplish what you set out to achieve. Resolutions are always better with company! Share your goals with family and friends who will hold you accountable, and partner with someone who can help you stay focused throughout the year. And with the partnership of a trusted primary care physician, you can rest assured that all the goals you’re setting are in line with your overall health and wellness. Let’s face it, it’s hard to eat healthy during the holidays. But you don’t have to be resigned to the fact that you’re going to need to set some weight-loss resolutions once the new year rolls around. 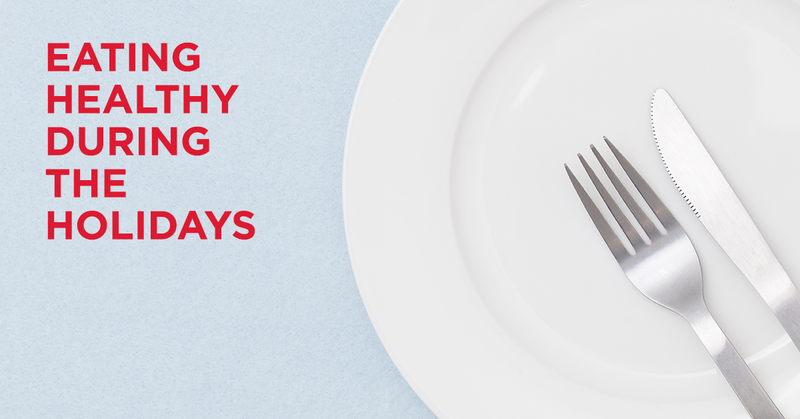 Here are six strategies you can follow to help you stay on track with your dietary goals throughout the holiday season. Keeping a journal or using one of the countless fitness apps available to record what you eat throughout the day can help you keep yourself accountable and committed to whatever goals you have set for yourself. How many times have you gone into work only to find that a coworker has brought in their favorite cookies or dessert to share with everyone? Resisting the urge, especially while others around you are giving into temptation, is one of the hardest things to do. Bring healthier snacks, like nuts, fruits and veggies, to stash at your desk for moments like these. This might be the most important tip of all: Be realistic. Throughout the holidays, you’re likely to find yourself surrounded by sweets and rich foods. Don’t be afraid to enjoy the flavors of the season — just do so in moderation! We all know how busy this time of year can get, and skipping breakfast or lunch might seem like the only way to get all the work, shopping and activities in before the holidays. But if you’re concerned about eating well, skipping meals opens you up to more snacking and potentially overeating later. Make sure you get a good breakfast to start your day, and if you’re going to be heading off to a party at any point, try nibbling on some fruits and veggies to taper your appetite before you arrive. Making your favorite holiday treats just a little bit lighter can go a long way. From guilt-free eggnog to heart-healthy gingerbread cookies, there are countless recipes available on our website and across the internet that drop the calories without sacrificing any of the taste. Having someone there to keep you accountable throughout the ups and down is one of the best ways to keep up with healthy eating goals. Whether you partner up with a friend or family member or work with your primary care doctor, you’ll find that it’s easier to stay on target when someone else knows your goals and your challenges. This is even more important and valuable if you’re someone with diabetes. Fortunately, if you live in Charles County, the expert teams at the Center for Diabetes Education or with UM Community Medical Group – Diabetes and Endocrinology are ready to help. It’s something you’ve probably heard about from your doctor, in the news or even from someone you know. Diabetes is an all-too-prevalent disease that affects a large percentage of the American population. Join us this month, which is American Diabetes Month, in learning more about diabetes and working to inform your family, friends and community about the causes, risk factors and treatment options available. 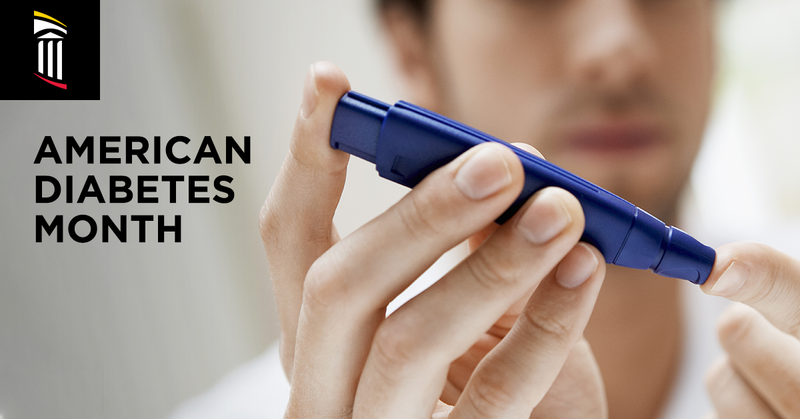 To get you started, here are the five things you need to know about diabetes right now. The Centers for Disease Control and Prevention (CDC) estimates that more than 30 million people in the United States have diabetes and that one out of every three people in the U.S. will develop diabetes in their lifetime. Unfortunately, it’s also estimated that 1 out of 4 people don’t know that they have it. There are three distinct types of diabetes. Each comes with its own causes, symptoms and management practices. Type 1 – This type of diabetes is considered an autoimmune disease because it occurs when your body can’t produce the insulin needed to control blood-sugar levels in the bloodstream. Type 2 – It’s estimated that 90-95% of all Americans who have diabetes are affected by type 2 diabetes. This type occurs when your body is able to produce insulin but is unable to produce enough to properly control sugar levels. Gestational – Though less common than types 1 and 2, gestational diabetes is brought on by pregnancy. While it usually disappears once the baby is born, this condition requires careful monitoring and can put a woman at higher risk of developing diabetes within 10 years. If you’re concerned about developing prediabetes or type 2 diabetes, consider taking our diabetes risk assessment and discussing the results with your doctor. Because type 2 diabetes is linked to obesity, prevention of the disease largely revolves around embracing healthy eating habits and a more active lifestyle. In addition to being physically active for 30-60 minutes every day, choosing nutrient-rich foods instead of sugary or high-calorie foods and snacks goes a long way in the fight against diabetes. Be sure to check out the CDC’s website as well. It has some great tips and guides about what you can do to help prevent type 2 diabetes in yourself and your family. Just because someone has type 1 or type 2 diabetes doesn’t mean they can’t live fulfilling lives. Thanks to groundbreaking treatments, new management strategies and improved community awareness, people with diabetes are living longer and better than ever before. Southern Maryland is no exception. Residents of this region have access to proven diabetes experts and always have somewhere to turn when they need support or have questions about diabetes. If you or someone you know is struggling with diabetes or a recent diabetes diagnosis, be sure to check out our Center for Diabetes Education. In addition, the new UM Community Medical Group – Diabetes and Endocrinology practice in Waldorf, MD, provides long-term care to those dealing with type 1 and type 2 diabetes. Feeling a bit overwhelmed by a diabetes diagnosis or just wish that you had a support system of experienced individuals to help you manage your diabetes? We have good news: Your diabetes team is right here in Southern Maryland. Together with the Center for Diabetes Education, the new UM Community Medical Group – Diabetes and Endocrinology practice can help you treat, manage and better understand your diabetes or endocrine condition. Why choose UM Community Medical Group – Diabetes and Endocrinology? It’s because the physicians there schedule fewer patients than other practices, so they give you the time and attention you deserve. That means more one-on-one time and less wait time. Plus, because they work in tandem with UM Charles Regional’s Center for Diabetes Education, you can expect a compassionate, comprehensive approach to taking control of your diabetes. 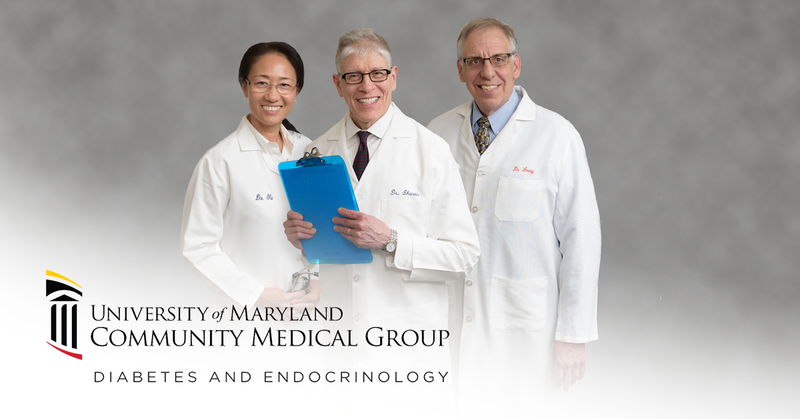 UM Community Medical Group – Diabetes and Endocrinology is located in Waldorf, MD, and accepts most major insurance plans. To learn more about this new practice and how it can help you, call 301-870-4100 or visit umcmg.org/charlesdiabetes today. It’s no secret that America struggles with obesity. According to Centers for Disease Control and Prevention (CDC), this condition affects nearly 37 percent of American adults and 17 percent of children. Obesity carries with it numerous health consequences for people of all ages. High blood pressure, diabetes, heart disease, stroke, mental illness and physical pain are just some of the serious diseases and disorders that affect people with obesity at a higher rate than those at a normal weight. Make no mistake, there is no simple solution to solving the obesity problem in America, but parents can play a key role in shaping the future of our country’s population by instilling positive health and wellness values in their children early in life. Sleep deprivation has been shown to increase hunger levels because of the effect it has on hunger hormones. You have the power to turn off the TV, the iPad or the phone at night and ensure your child gets plenty of sleep — they’ll definitely feel better in the morning, and their metabolism will likely benefit as well. When you go grocery shopping, do you fill your cart with chips, cookies and other nutrient-deficient foods? Consider swapping out popular snack items like potato chips with fruits and veggies. You’ll be providing your children with lower-calorie options and help limit their intake of added sugars and solid fats that contribute to obesity. Water. What more can we say? Non-diet soda is loaded with sugar and nutritionless calories. Unfortunately, most fruit juices aren’t great alternatives, either. So the next time your kids are thirsty, get them a cold glass of water. No, you don’t have to force your kids to go on long runs or do weight training at an early age. But you can encourage them to stay active by getting them to participate in age-appropriate physical activities that they’ll have fun doing. The Charles County Recreation Division runs several free and low-cost programs that provide physical activity for kids of all ages. Check out its offerings here. Always remember, kids often emulate the habits and choices of their parents, so the best way to instill a healthy mindset in your child is to have one yourself! Our Online Health Library has some simple yet useful tips for adults looking to fight weight gain. Want more tips and advice for how you can enhance your child’s activity and nutrition? We’re proud proponents of the National Heart, Lung and Blood Institute’s “We Can!” program, which empowers parents to impart healthy eating and lifestyle choices on their entire family. Learn more about this great program on its official website. We could all stand to eat a little bit better. But eating better doesn’t doesn’t mean you have to endure meals consisting of nothing but asparagus and cauliflower — unless, of course, you totally want to. Contrary to what you’ll see on TV or hear on the radio, there’s so much more to embracing a healthy diet than sacrificing flavor or your lifestyle. 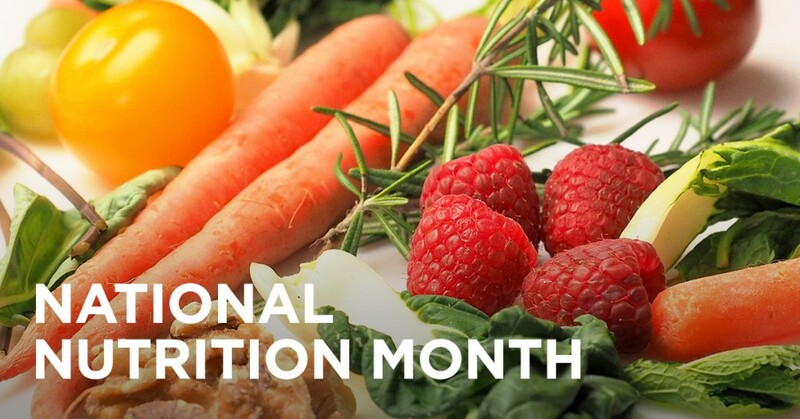 National Nutrition Month, celebrated every March, is centered around the idea that there are countless ways for adults and children to create healthy diets that fit their lifestyles. That’s why the Academy of Nutrition and Diabetics wants you to “Put Your Best Fork Forward” this month and find the diet that works for you. have to cost you a fortune or an entire afternoon. unhealthy eating. Learn to decipher and understand it here. having trouble sticking with a healthy eating plan. • Staying Away from Fad Diets — Here are the diet plans you should avoid completely. Want even more healthy eating tips? 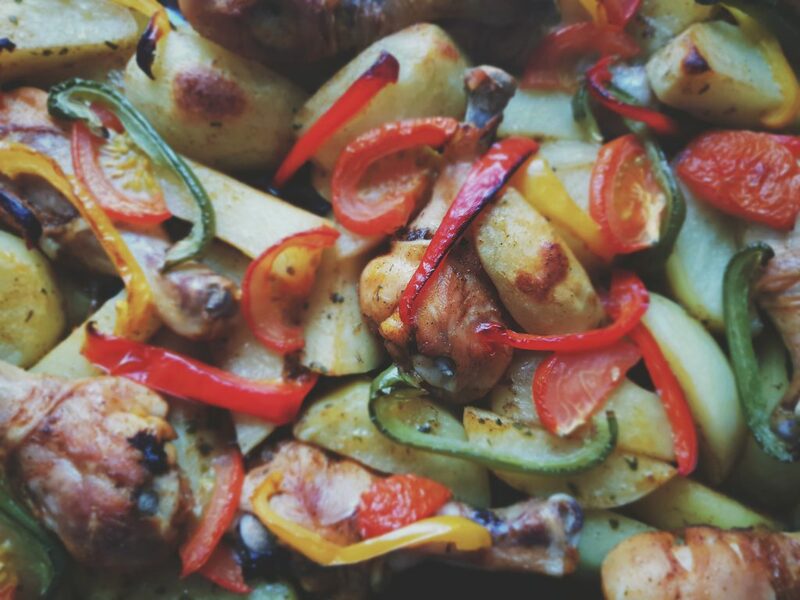 Don’t forget to check out our Health eCooking section on our website — you’ll find plenty of regularly updated healthy recipes that you and your family will love. And if you’re diabetic, our Center for Diabetes Education is the place to learn more about healthy eating habits that can help you manage your diabetes.